This tutorial will show you how to perform an in-place upgrade and repair a Windows 10 installation without loosing your personal files and settings. The in-place upgrade and repair process, gives you the opportunity to repair many Windows 10 problems and to upgrade Windows 10 with the latest updates, without having to re-format your computer. How to perform a Repair Upgrade in Windows 10. Step 2. Perform a Windows 10 repair. 1. 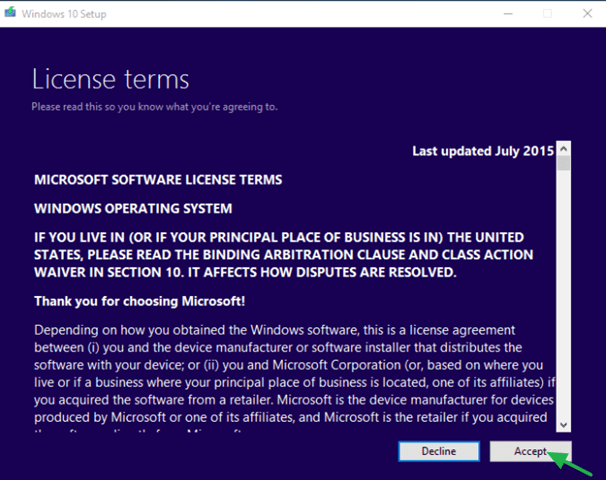 Put the Windows 10 installation media on your computer. 2. 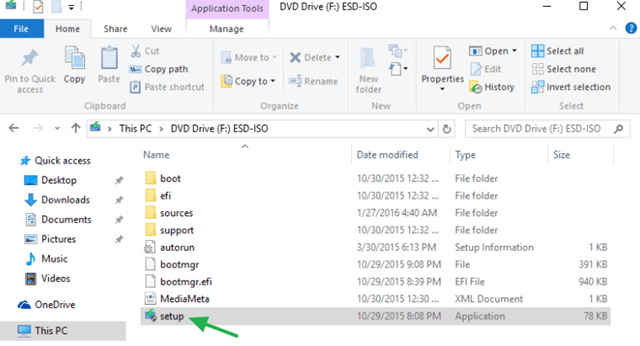 Open Windows explorer and double-click to run the Setup application from the Windows installation media. 3. Choose to Download and install updates (recommended) when asked and click Next. 3. Accept the license terms. 5. Finally click Install to start the repair process. 6. Be patient until the Windows 10 Setup upgrade and fixes your system. 7. After repair installation, login to your account normally. Just wondering how I run setup on a computer that won't boot? I can't restore, reset, cant sfc/scannow or I can and it gets to 100% but get a windows resource error, on restore get a Windows Apps error, also have a 0x0 error and even with the win 10 iso media file I get an error re windows pe (can't remember)error when I tried to do an install and keep files it wasn't happy. In a world of pain at the moment, nothing is working every which way. I am so happy with your instructions above. I have done exactly what you have suggested and my computer and scanner are back to normal. I worked all day yesterday trying different solutions and yours above is the ONE and only. Thank you for helping me because today is also my Birthday and its a gift.